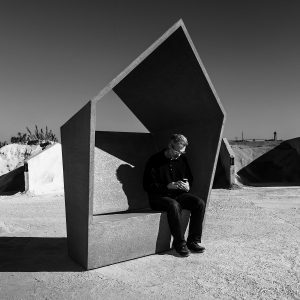 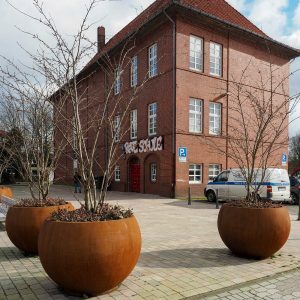 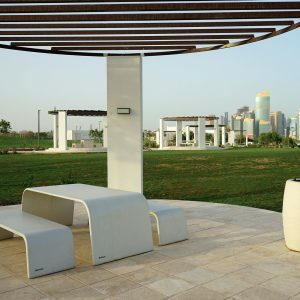 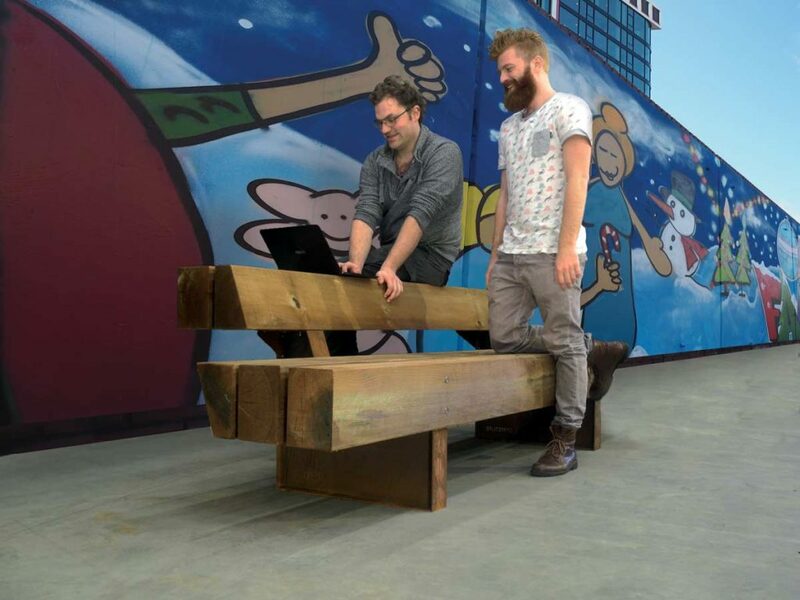 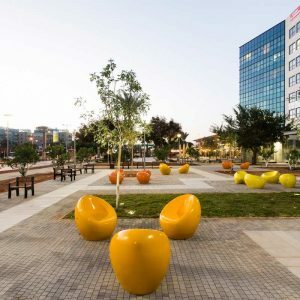 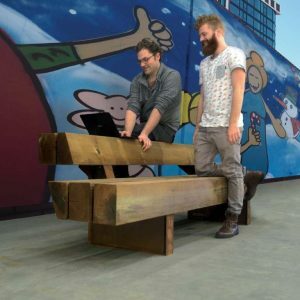 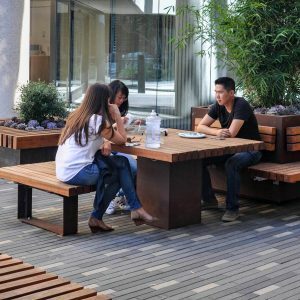 Heavy-Heavy Benches are massive, heavy-duty benches created to reflect Streetlife’s characteristic natural look. 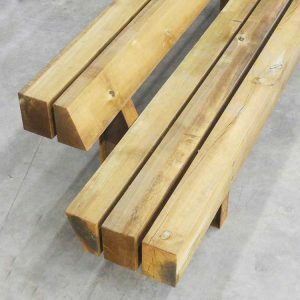 The heavy wooden beams are 15x21cm in dimension and are available in two lengths: 250 cm and 325 cm. 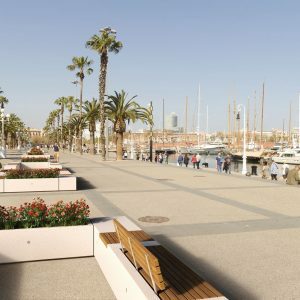 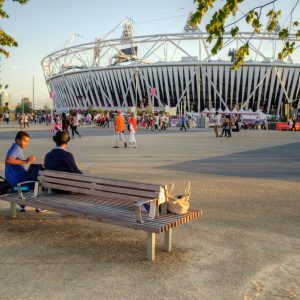 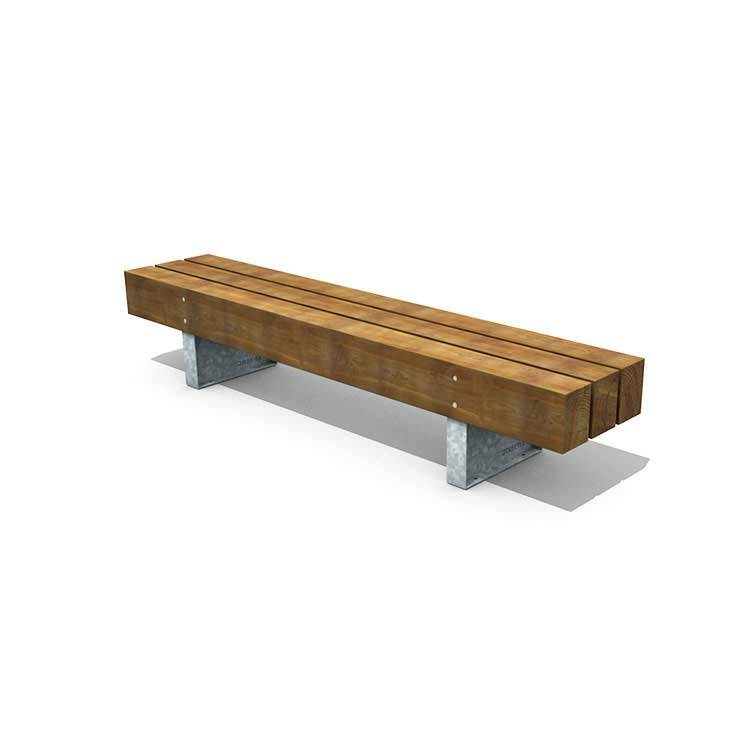 The benches are characterised by the diagonal lines that run along their back and seats. The beams are secured on galvanised or CorTen steel cross-beam supports using the Streetlock® system. 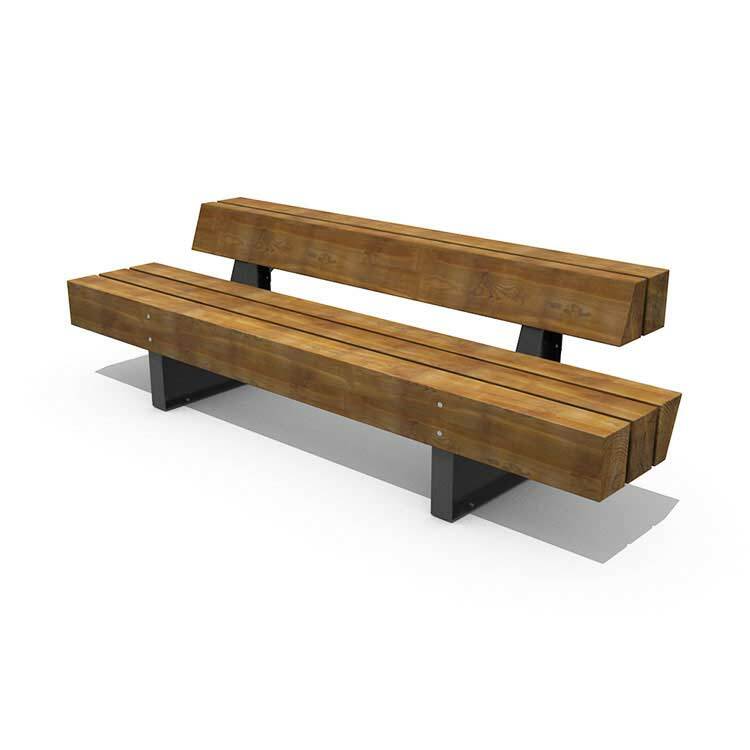 The Heavy-Heavy Bench can be executed single sided or double sided. 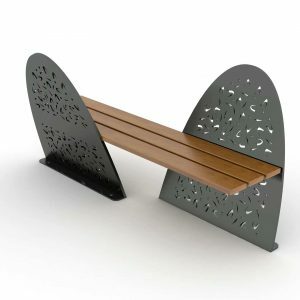 The backrests are multifunctional and can be used as lean-supports, seating, table tops, etc. 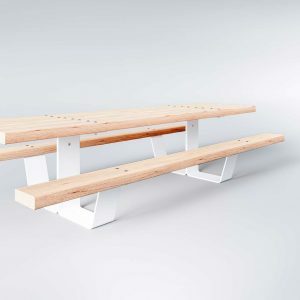 The backrests can be linked together just like the benches in order to create a longer piece. The W-Wood® used in the Heavy-Heavy Benches is European FSC® pine made extremely durable through a process of deep treatment with a natural wax compound. 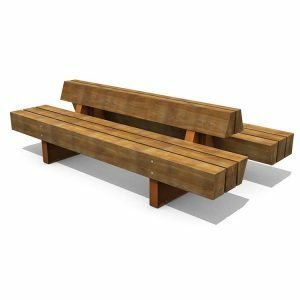 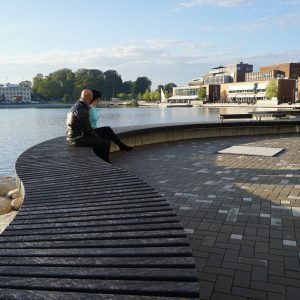 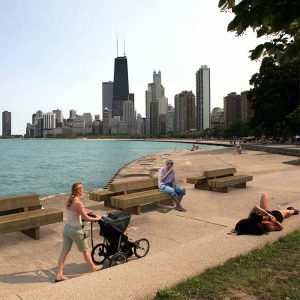 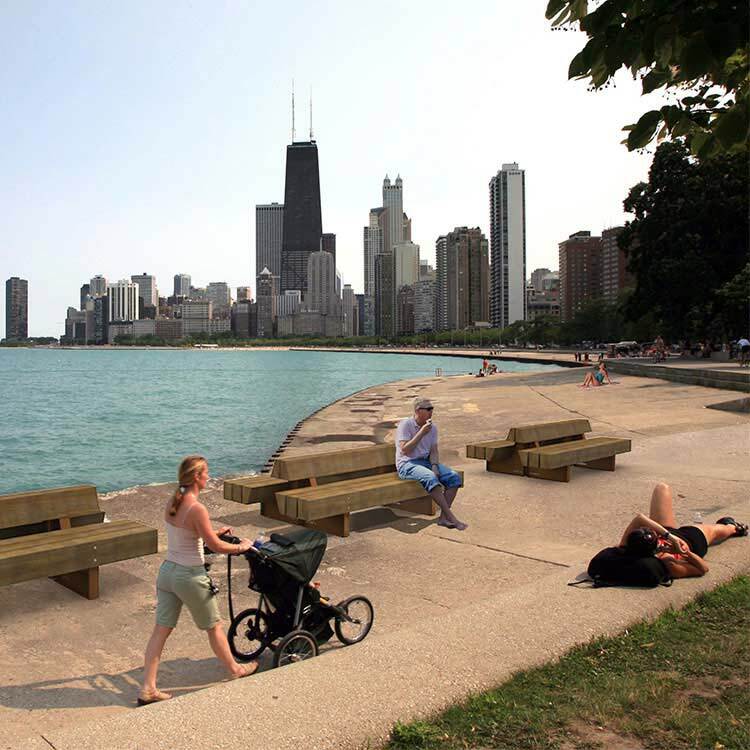 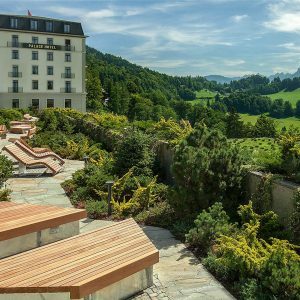 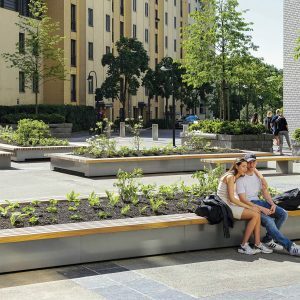 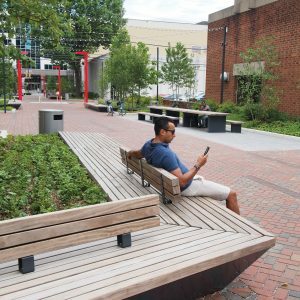 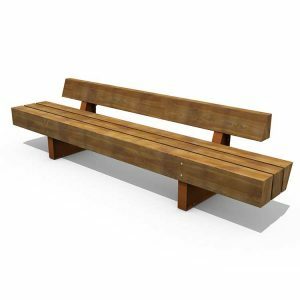 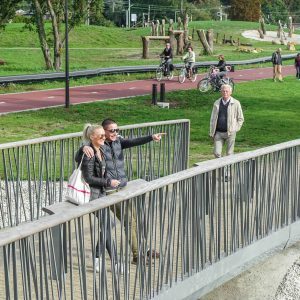 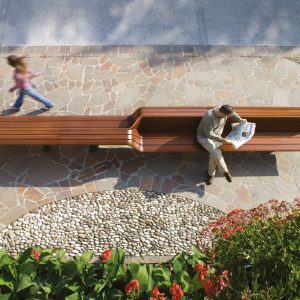 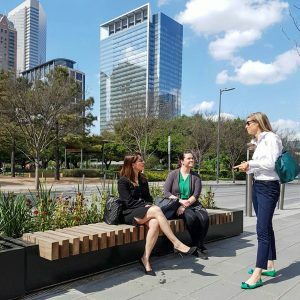 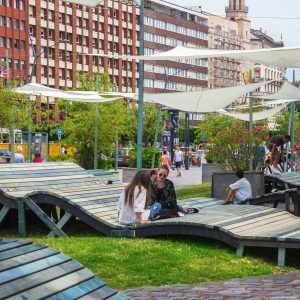 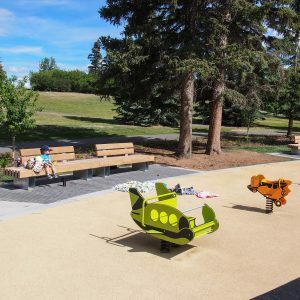 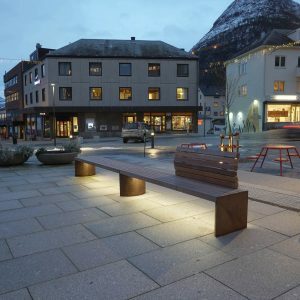 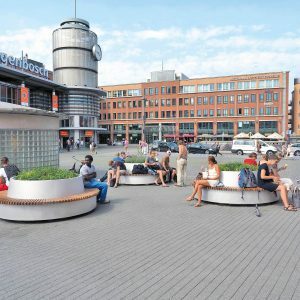 The water-resistant properties of W-Wood® mean these benches are extremely long-lasting and are guaranteed to remain in top condition for the next 15 years. 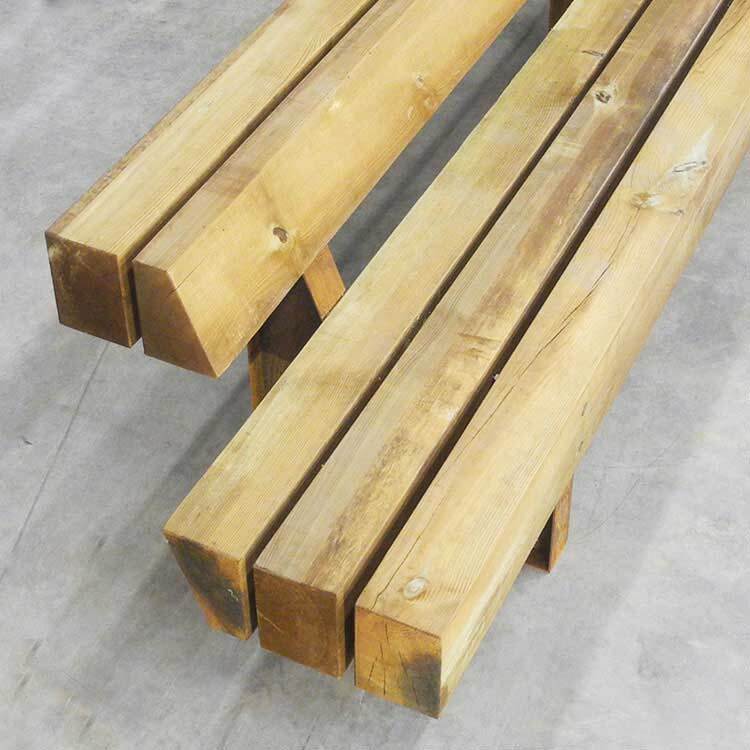 W-Wood® has a similar life expectancy to FSC® hardwood, but has a lower density and hardness. 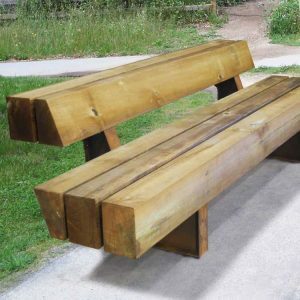 Just like hardwood, the polychrome honey brown will fade very gradually to a greyer tone (over a period of about 3 years).